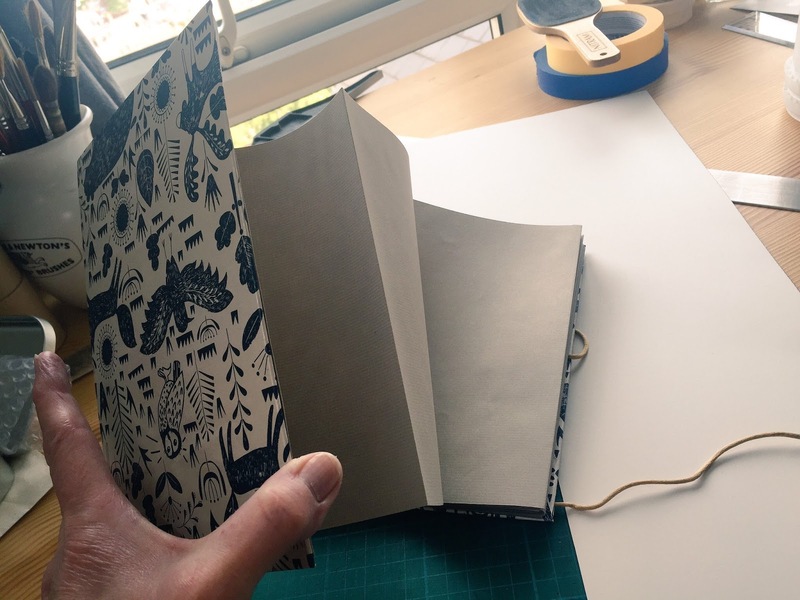 Become a Sketchbook Making Enthusiast, Concertina Style! If you are like me, you may be one of those illustrators who collect brushes, paint, drawing implements of all kinds and sketchbooks! Another thing that gives me great satisfaction is book binding for art books. Don’t worry! 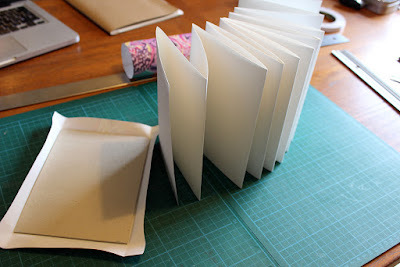 This is easier than that, no special book binding instruments needed of any kind. 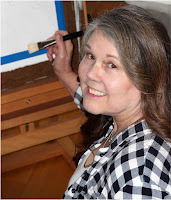 At this point, I need to give credit to the person who inspired this article, Lynne Chapman, one of our facilitators along with David Lucas at this year’s Picture Book Retreat. The measurements for the following sketchbook is for ease of carrying in your bag to sketch and paint anywhere; the concertina pages give you flexibility on the size of your sketches. 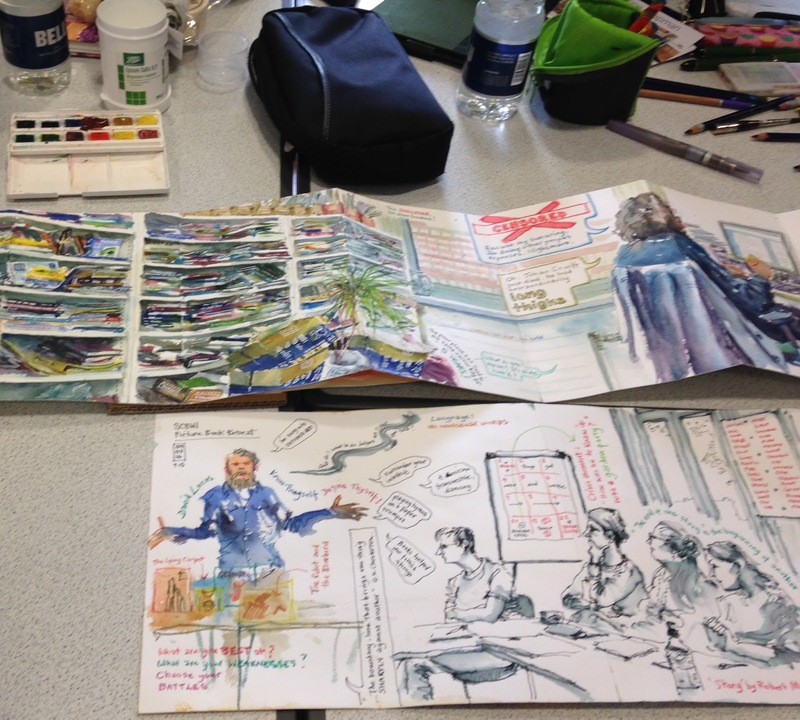 The whole sketchbook can become an amazing record of your journey, moving from one side of the paper to the other. 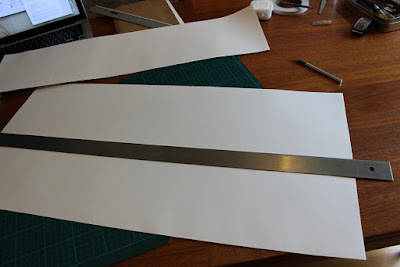 Shown, watercolour paper, a ruler, pencil, X-Acto knife and steel straight edge for cutting. The first thing you need to do is collect your materials. 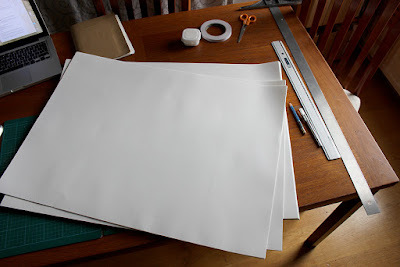 For the Picture Book Retreat, I ordered Bockingford watercolour paper, 190 gsm, NOT, 76cm x 56cm. For those who may ask, NOT watercolour paper refers to the slight texture in the paper, somewhere between rough (lots of bumps) and hot press (smooth). This is a personal preference choice and you may want hills and valleys capturing your paint or a smoother surface to push your paint across. You’ll only need one sheet for one sketchbook. Watercolour sheet cut into three strips. 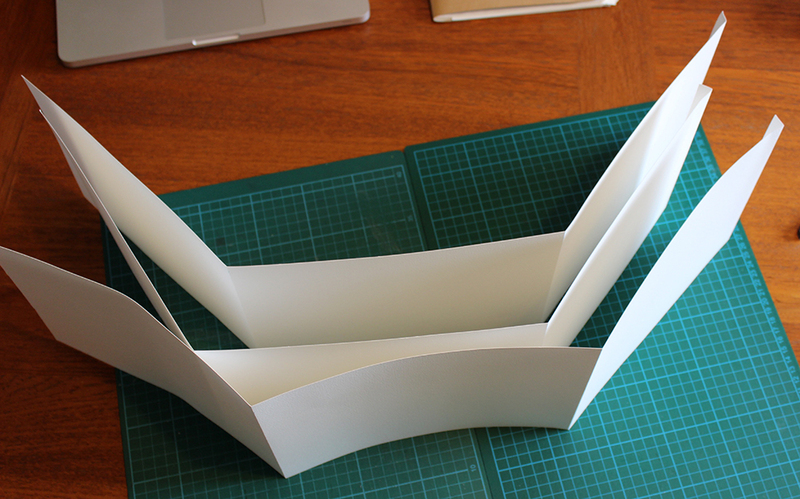 In this next step, you’ll need to measure your paper to cut three strips (in this case) at 18.5cm high. The strip takes the whole length of the paper. You will be left with a wee bit at the top that you won’t need. TIP: You know the old adage, measure twice, cut once? Not a bad rule to follow. This is where you’ll measure out your spreads and leave a tab at the end of your strip. 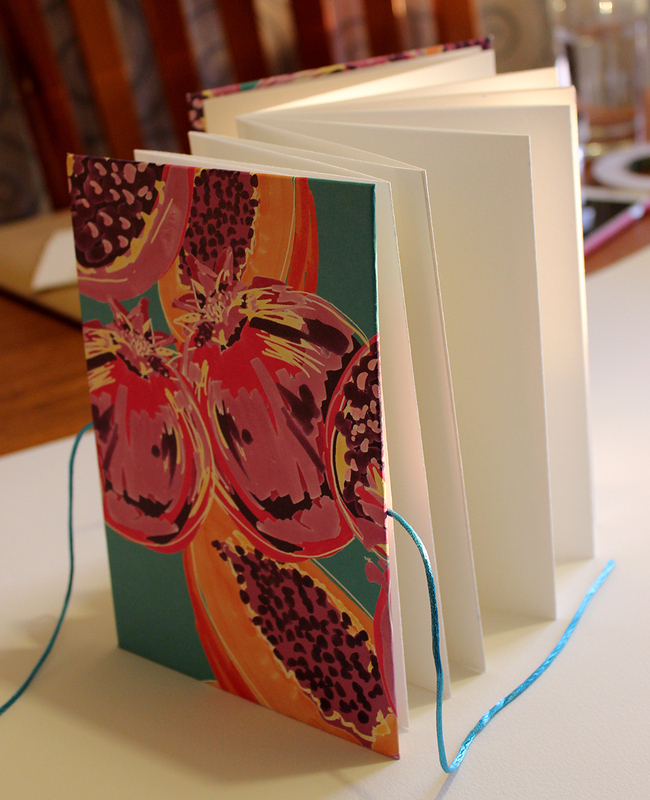 Each page will end up at 12.5cm wide. With that in mind, I measured out the spreads at 25cm each. Each strip will give you 3 spreads. You will end up with a tab at the end of the strip of 1 cm. We’ll use that to connect our three strips into one long strip. Three spreads and a tab for each strip. Strips connected and spreads folded into pages. You will also need to score the fold for the tab. It does get a little tricky here in that the strips are a bit awkward to manipulate and you want to make a straight connection between the strips. I used double sided tape on mine, the tab just happened to be the correct width for my tape. You can also use PVA Glue or a UHU glue stick to glue the next strip to the tab. Remember to leave the next strip’s tab on the end so you can connect the third strip. Don’t cut off any tabs until all your strips are connected! When all is well, then slice off your extra tab. TIP: When using glue, consider having a clean sheet of paper nearby to drop over the glued area, then press down to smooth. This will keep everything clean! Once the spreads are connected, fold each spread in half. Almost magically, you’ll realise as you fold each page into the scored spread fold, you are making a concertina! Press your fold down firmly, again, use a different clean piece of paper to do this. Particularly with watercolour paper, you don’t want too much of the natural oils from your skin to absorb into the paper. Find clean, firm cardboard for your covers. You don’t have to go out and buy the cardboard. You know that last order from Amazon you received, keep the cardboard! 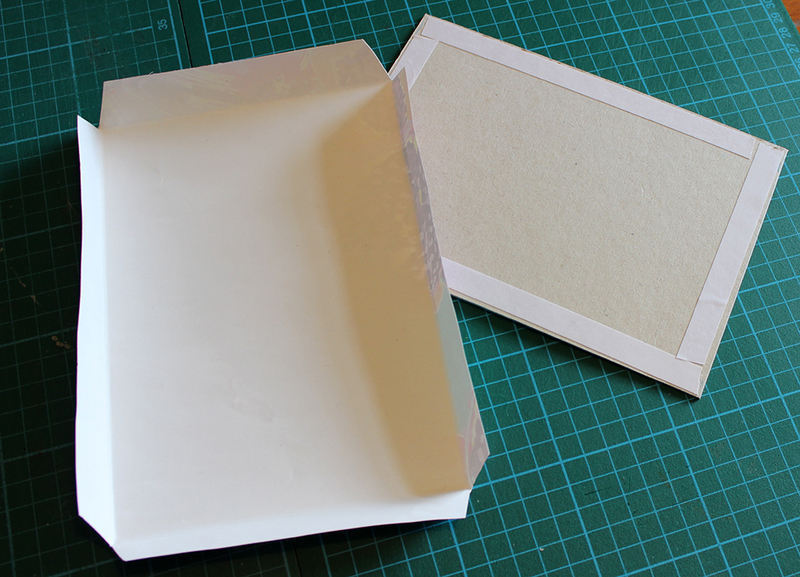 You can also use the backing from your pad of art paper or writing paper if it’s stiff enough. For the covers, I cut two pieces at 13.5cm x 19cm. The extra centimetre gives you a nice lip to protect the inside pages. You can see in the photo above that I decided to cover my covers with nice wrapping paper that I had collected from an artist’s fair. Don’t use too thin paper if you choose to do this. It’s also an option to get cloth paper from your favourite art materials store. You can also decide to leave the cardboard uncovered! Cover one attached to first page of concertina. Shown is the concertina already glued onto the cover. This is where you get out your PVA glue and a flat bristle brush used for gluing. 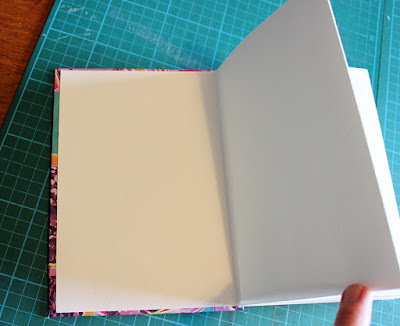 Use your paper to mark where you want it to fit onto the cover, before you apply the glue thinly, but not too thin, across the board where your paper will lay in. 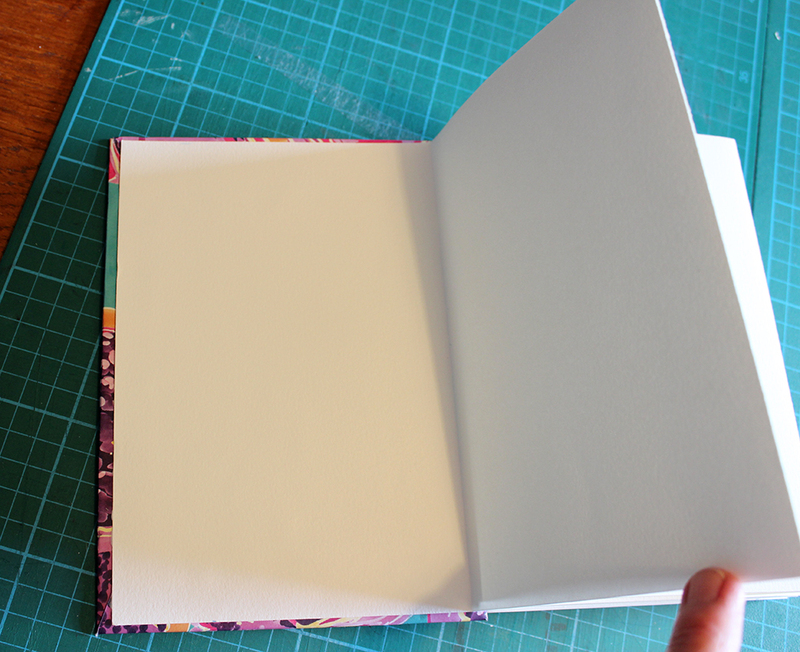 Get that clean piece of paper again to press firmly down and smooth your page onto the cover. TIP: Have a jar of water nearby so you can wash your brush each time you are done gluing to prevent the glue from drying in the bristles. Cover two and folded paper to cover it. When you measure the paper to fit around your cover cardboard, leave a good 3cm beyond the shape of your board. 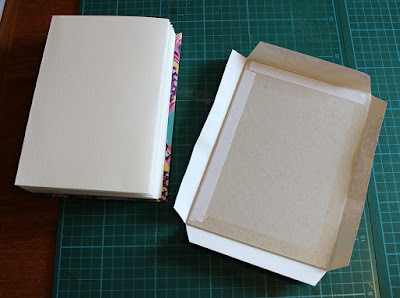 TIP: Fold the paper over first to get the shape of the cover into the paper. At the corners, cut a slight V shape away from the corner for ease in folding over. You can use either double sided tape to attach the cover paper or glue. I chose double sided tape. Cardboard cover set inside of folded and cut cover paper with double sided tape on cardboard for attaching the paper. Once you have the cover paper folded over and nicely attached to the board, you can choose to glue in a long ribbon or cord to tie your sketchbook closed. You could also use a nice big rubber band, depends on the final look you want to achieve. To do this, take a measure of your paper on the cover by laying it in and marking the outward edge of the paper on the cover. Brush down your glue to cover up to the marks you made on the cover. Lie your ribbon or cord with equal lengths on either side of the cover horizontally and tap down to secure into the glue. Place your page up to your marks and use a clean sheet of paper to press down. Last TIP: lay your folded up book onto a clean sheet of paper then place one or two heavy books across it to press the whole book firmly down. Fini! You are now a sketchbook making wizard! Be sure to wait at least a couple of hours before taking your book out from under the heavy books. Once you’ve mastered the watercolour concertina sketchbook, try making a toned paper one for your compositional studies and thumbnails! Why stop there? 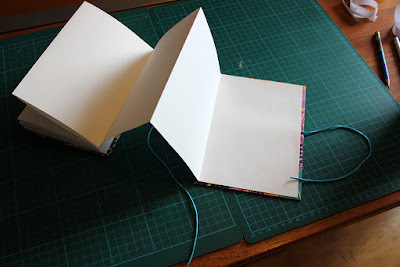 Make any kind of sketchbook you like. Anne-Marie co-authored and illustrated two wordless books for Books Beyond Words Publishing, When Dad Hurts Mum and A Safe Place from Domestic Abuse, that came out within a few months of each other in 2014 and 2015. 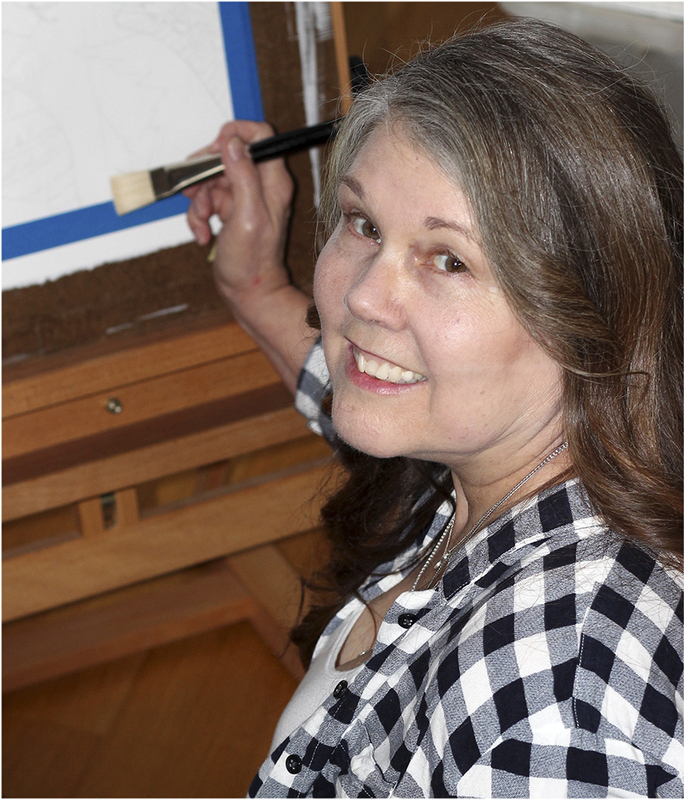 She has also produced illustrations for other publishers, design studios and film production for US and UK markets. When not working on her own stories, she teaches concept art and animation at Buckinghamshire New University in High Wycombe. 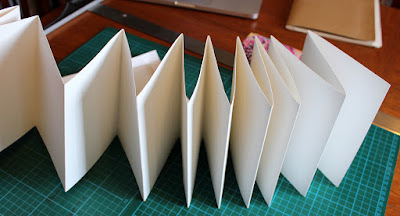 It was so much fun making these concertina sketchbooks at the Retreat, they're perfect for documentary sketching, thank you Anne-Marie for all the advice and guidance!